Flip a coin. 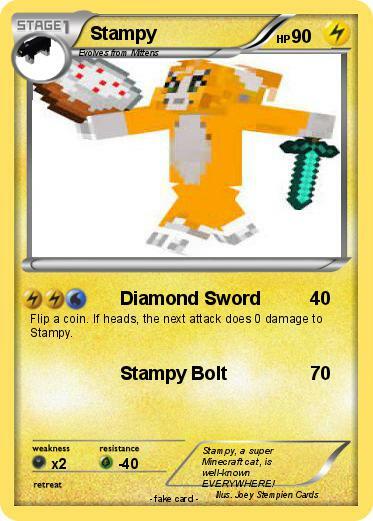 If heads, the next attack does 0 damage to Stampy. Comments : Stampy, a super Minecraft cat, is well-known EVERYWHERE!